In terms of impact, there are few episodes of television that have ever hit with such force as 33, the first episode of the first season of Battlestar Galactica. Memorable even today, 13 years after its debut, 33 successfully led the way for the franchise by combining tightly constructed plot lines, a memorable opening, and enduring mysteries into a single package. Previously, we’ve noted the importance for action oriented shows to deploy effective attention grabbers. Daredevil did this to strong effect before letting its characters take over, and Battlestar Galactica does this as well. 33 opens to dueling scenes, each presenting contrasting effects: One of scientist Gaius Baltar overlooking a serene lake from his home, and another of exhausted looking military personnel coordinating flights between various ships. The first scene creates an interesting personal dynamic between Gaius and his hallucination of Six, a Cylon agent who tricked him into handing over the codes that destroyed humanity’s military defenses. The second scene highlights the tension of the military situation as everyone awaits the 33-minute countdown, at the end of which the Cylons appear in their homicidal blood mission to destroy the last of humanity. Ronald Moore quickly provides his audience character insights into all the major players in less than the span of five minutes. We immediately understand the internal struggle Gaius will be battling for the rest of the series, one involving the potential existence of God, his own commitment to rationality, and his guilt over accidentally ending humanity. Six is shown to transcend any given scene, as she appears not only in his dream, but also directly alongside him aboard the ship he’s a passenger of. Their interesting sexual dynamic is also highlighted here, providing us with one of the overarching relationships that will exist until the end of the show. William and Lee Adama, father and son. Outside that pair, we also get an immediate sense of the chain of command and its operation. William Adama, aboard the Battlestar Galactica, provides military leadership for the fleet. Captain Lee Adama and Lieutenant Kara Thrace are positioned as the front line leaders, the people who actually command from the heat of action, when all the shooting starts happening and their pilots need moment-to-moment coordination. While these figures are primarily concerned with the military and technical aspects of the retreat, a cut to Laura Roslin, newly acting president of the colonies, shows a woman concerned with documenting who the survivors are and what planets they come from. Importantly, 33 obeys the cardinal rules of any introductory narrative. It introduces us to all the major players, it gives us insight into what motivates them, and it introduces us to the major conflicts that will exist through the majority of the show. Again, it does all this in less than five minutes. As an action based television show, it also provides a gripping moment when the Cylons appear and when Lee and his pilots go into action. Aboard the Galactica, naval jargon is tossed about as the ship fires its heavy cannons, creating an intense, if brief, battle while civilian ships escape the scene. Warfare in Battlestar Galactica looks pretty spectacular. However, 33 adheres to yet another principle that helps to generate long term fans – the need for mystery. In our previous discussion of Five Nights at Freddy’s, we talked about how the presence of unsolved mysteries leads to fan based theories and speculation. This type of discussion leaves people talking about a show, film, or game long after it’s over. The energy that is poured into these discussions invests people into the show and guarantees that they’ll be around for the foreseeable future. Battlestar Galactica provides plenty of mystery in its opening episode. Why are the Cylons back? How do they keep tracking the fleet? Is Six real or just a figment of Baltar’s imagination? Battlestar Galactica would play with these mysteries and create new ones, which helped keep it popular among its core base. The majority of the rest of the show is spent acquainting us better with those characters we saw in the opening five minutes. Those hints of their identities are built upon as each person is allowed to bounce off the other through the midst of this opening conflict. The pressure of having to evacuate an area every 33 minutes allows these characters to manifest at their extreme as they theorize and argue about what steps to take next. In this way, Battlestar Galactica gives its audience a chance to invest in the cast. There’s a diverse range of personalities on display, giving viewers plenty of characters to personally attach to. Prefer the stoic military leader? William Adama’s your man. Appreciate a more hotheaded, rogue like individual? Starbuck’s the woman you’ll root for. The Cast of Battlestar Galactica. The final quarter of the episode really sells how dire things are for humanity and all these people you’ve just spent time becoming familiar with. 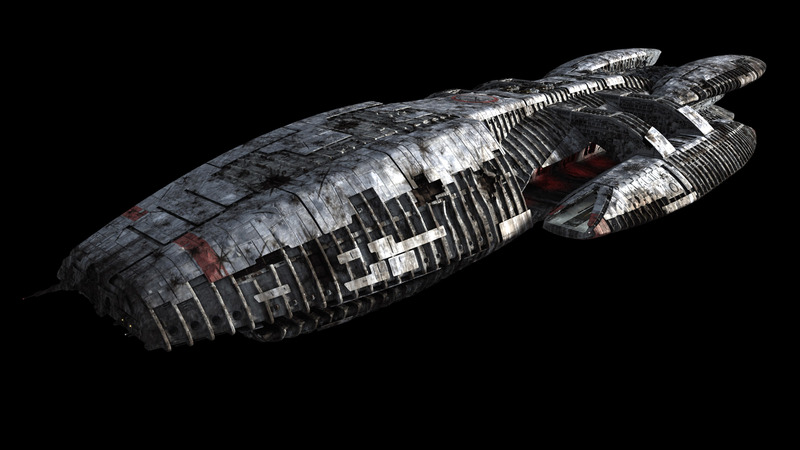 The reappearance of a missing ship should be reason for praise, but nobody can understand why the Cylons would let them go. This is either a miracle, or a trap. In the end, humanity pulls the trigger on its own people and destroys the ship, providing no hopeful end to the episode and setting the tone for the series. Battlestar Galactica’s first episode was so successful because it provided a gripping introduction, enduring mysteries, a cast of characters we could identify with, and a tone that would guide the entirety of the series. 33 was a masterpiece of television that expertly interwove multiple storytelling necessities that all writers must consider when trying to gain an audience.